The Pitney Bowes DM110i franking machine is best suited for small to medium sized businesses sending up to 100 items of mail a day. Why consider a DM110i franking machine? The DM110i is ideal for small businesses with a relatively low to medium output of mail i.e. around 100 items of mail per day. This machine has an integrated 2.5kg scale and, using the latest IntelliLink technology, will automatically calculate the correct postage for every item. The DM110i will process mail at a speed of 25 letters per minute with a semi-automatic envelope feeder which should save you considerable time when it comes to sending your business’ post. Cutting down on administration tasks like this means you can refocus your attention on the areas of your business which will lead to growth and profit. And, of course, franking mail will save money on postal costs which can add up to a significant saving over time. Plus, the automatic calculation of postage costs means you’ll avoid making errors which result in Royal Mail fines. Pitney Bowes has been a provider of various products and services to businesses all over the world for over 90 years. 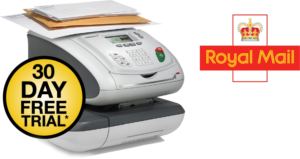 The company is one of four franking machine suppliers authorised by the Royal Mail and is well known for quality and reliability. What post can you send with a DM110i? The DM110i will send First Class, Second Class, Priority, Express, Postcard, Flat Rate, Parcel Post and International mail classes including parcels up to 2.5kg. If your business sends parcels which exceed this weight it’s possible to upgrade to a 7kg, 12kg or even 35kg scale. While the machine is recommended for companies sending up to 100 items per day it will always process more if needed. Using a franking machine to send your mail will save you money on postage costs but the amount you’ll save will vary depending on what type of mail you’re sending and in what volume. The DM110i is equipped with IntelliLink technology which automatically updates to the latest software and current Royal Mail tariff so you have peace of mind you’re always up to date. It’s also really easy to add more credit to your account over the phone or via the internet. The DM110i can be programmed with up to 10 user or department accounts so you can keep a close eye on what’s being sent and spent and by whom. This machine will slot neatly into even the smallest spaces with dimensions of just 345 x 230 x 400mm. The DM110i uses an LAN connection to automatically download the latest Royal Mail postage tariff. 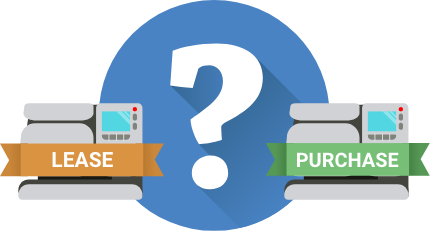 If you’re interested in saving on your business’ postage costs with a Pitney Bowes DM110i franking machine, we recommend comparing multiple quotes to make sure you’re getting the best deal.